Heat oven to 350°F. In Dutch oven or large saucepan over medium heat, cook and stir bacon and onions until bacon is crisp and onions are tender. Drain. Stir in remaining ingredients. Bake uncovered 60 to 70 minutes or until hot and bubbly. You can vary the beans in this tasty picnic side dish to suit your taste. 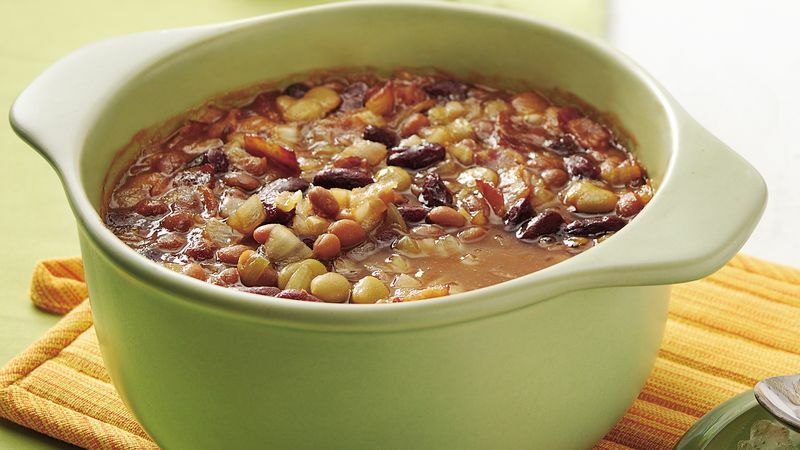 Why not try substituting pinto or black beans for the kidney and lima beans?